Below is a guest post I did for Bending The Spine. Enjoy! With the day of the dead approaching, now is the time to decide where to spend Halloween. What better place to celebrate than Ireland which has a 2000-year-old Halloween tradition. In Pagan times, the Halloween celebrations were at its wildest with the druids sacrificing and burning victims. Tradition has it that these sacrificial bonfires had to prevent the dead from crawling out of their graves. Bonfires are now a huge part of the Halloween festivities in Ireland and are lit in both rural areas and towns throughout the country. One of the best places to watch those bonfires is in the medieval town of Athboy where the underworld and our world are supposedly closest together. On Halloween’s Eve, the inhabitants make a tour with burning torches from Athboy to the top of Tlachtga. The tour ends with a traditional Celtic feast in an Iron Age Fort overlooking the town. The biggest Halloween parade in Ireland is Derry's Banks of the Foyle Halloween Carnival. While live music and performances take place, more than 30.000 people walk with candlelight toward the River Foyle. The night ends with a spectacular fireworks display lightning up the night sky over the river. A similar event is the Dublin Halloween Parade, a display of performers, dancers, monsters, giants, ghosts, goblins and witches that ends in extravagant fireworks. If you like it spooky, you might want to try Dublin’s Halloween Night Bus Tour. The bus drives you through the city’s dark, unknown streets and a live storyteller will tell you all about Dublin’s sinister past and legends. It’s a popular attraction, so book in advance. In the atmospheric Causey Farm, nearby Dublin, children can listen to old Celtic stories, learn to drive a broomstick and much more. The Clontarf Castle Hotel in Dublin celebrates Halloween by organizing a world championship for vampires. And the Headfort Arms Hotel, located on a one hour drive from Dublin has Halloween films for kids and other fun activities on the program. Couples without children might want to stay at the Dunboyne Castle & Spa where you are a participant in a murder story. Or you could taste Prosecco and Halloween chocolates at Castle Leslie Estate. 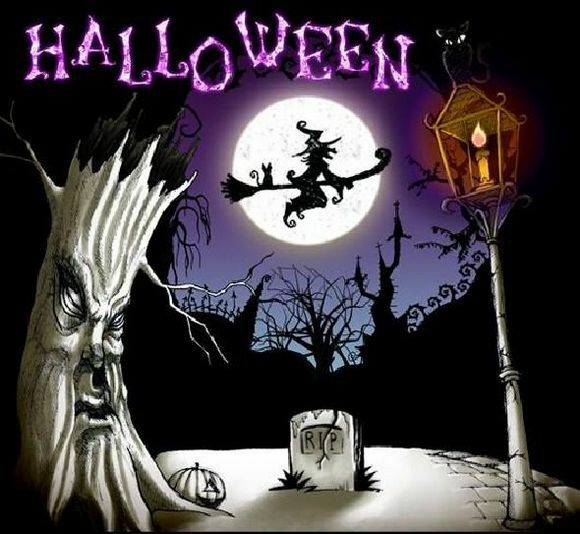 You may also try the Halloween foods that Ireland is famous for: Colcannon (dish with potatoes, cabbage, onions, butter, milk, salt and pepper) and Barnbrack Cake (fruit cake hiding objects such as a ring, a tissue and a coin). I would go for the Halloween parade in Athboy. Never heard of Colcannon and Barnbrack cake before. Halloween in Ireland sounds perfect! Wish I had the money for it..
Really interesting post I enjoyed reading it. Bonfires are indeed a great evening out. OH MY! I will not talk about Ireland, as I feel so bad as I am stuck here with my books. Damn, damn, damn! The bus tour sounds fantastic! Stopping by from the "Follow Me Wednesday"! Cute blog! :) New follower! This is really fun. Thank you for sharing with us. Posted on my facebook as Austin Baroudi. Posetd on my facebook blog page. Posted on Pinterest as Austin Baroudi. Posted on Myspace as Austin Baroudi. Post on LinkedIn as Austin Baroudi. Really wish we had some of those educational Halloween experiences for kids in my area. Thanks for sharing at Mom's Library! great info,love this time of year!